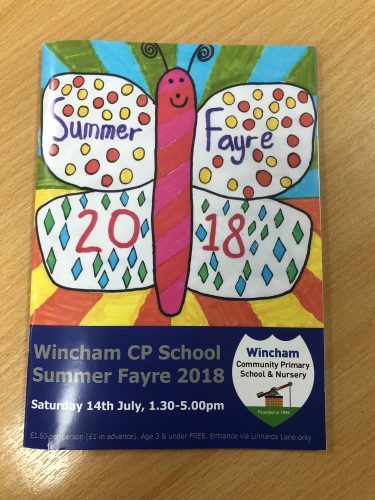 Wincham Primary School Summer Fayre. Home/Blog/Wincham Primary School Summer Fayre. This Saturday ‘Pang On!’ will be coming to Wincham Primary School. This amazing one-man extravaganza is not to be missed!! This year’s Summer Fayre kicks off at 1.30pm with traditional bell ringing by Hannah Bishop and Oliver Mottershead. Followed by the amazing voices of Winchams own School Choir. There will also be a fly over by RAF Hawker Hurricane at approx. 2.30pm. The afternoon will see Hartford School of Gymnastics doing an awe-inspiring display for your entertainment. Not forgetting the fairground rides, ice cream, Lego Exhibition, Games, Tombola, Pick a Prosecco, Welly Wanging, Bar, BBQ, Bouncy Castle, Slides, and Exotic Hedgehogs!! Wincham Primary School & Summer Fair, annual raffle depends on the generosity of local companies and organisations. The money raised from this year’s events will be going towards funding the replacement of the school’s computers. This year, DataSpace are pleased to be donating a £50 Voucher for The Chill Factore in Manchester. Top Prizes in this year’s raffle are a 7 night Holiday courtesy of Eurocamp, a Nintendo Switch & Game donated by M Igoe Civil Engineering Ltd, and loads of other amazing prizes donated by generous local companies. What more could you ask for!! Get down to Wincham Primary School, Linnards Lane this Saturday. Entrance is only £1.50 per Person, children under 3 go FREE.